A suspenseful story of greed, sexual abuse and murder against the backdrop of a cloistered religious community. Detective Shuman finds himself at the center of a power struggle as he hunts down the murderer with grim determination at the same time the killer has Shuman in his sights. Part of the compelling draw of Murder at the Yeshiva is this attention to detail, which takes a relatively straightforward scenario and develops it into something unexpectedly complex. And while readers who want quick action and predictable paths in their murder mysteries may find themselves chafing at the bit of a slower-moving plot then some, the pleasure here lies in the exquisitely delicate evolutionary process...under his hand the plot thickens like a pudding, carefully stirred and tended until, many chapters into the story, readers find themselves thoroughly immersed in a well-cooked saga that's as much about Shuman 's evolution as it is about solving a murder. 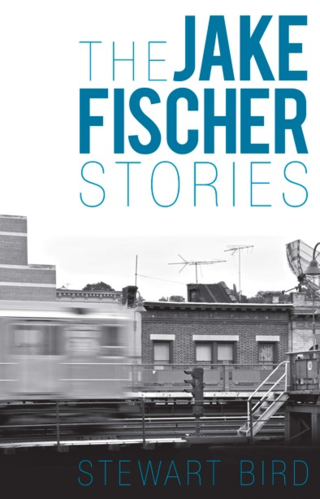 Bird has produced a baker's dozen of short stories of varying lengths with the protagonist Jake Fischer. Jake is drafted into the Army and ends up as a psychiatric social worker at the Michigan Army Hospital. The reader gets references to LBJ and how many kids did he kill today, as well as to Scarface, Full Metal Jacket, Ron Kovic, Bob Dylan, Catch 22 and President Nixon looking like a cattle rustler in a John Ford Western. There is a lot of wit and some humor in these serious literary stories.